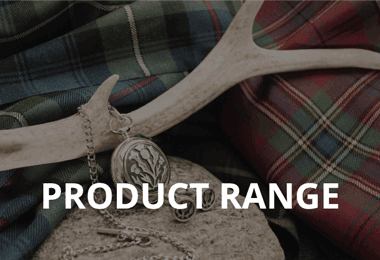 Buying tartan products & tartan fabric from Ingles Buchan not only invests in authentic tartans woven in Scotland, but also supports the rich textile history of our family owned firm and mill. After serving as a World War II Spitfire fighter pilot, Ingles Buchan worked as a weaver in his family business of Lochcarron Handloom Weavers. In the 1960’s Ingles started out on his own and began Ingles Buchan Textiles as we know it today. Since the beginning of the company, Ingles was obsessed with extraordinary levels of customer service, travelling the length and breadth of Scotland from his hometown of Galashiels to visit customers both big and small. Knowing the importance of integrity in the tartan industry, Ingles Buchan always had their cloth woven at the Anthony Haines textile mill in Scottish border town of Selkirk. In 1986, Ingles Buchan retired and the company was passed into the trusted hands of the Brown family, who own and operate Ingles Buchan today. 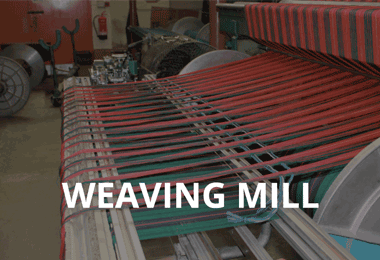 Subsequently, when the mill owner Anthony Haines retired, to keep the thread of this incredible textile history together, the Brown family bought the mill in Selkirk and continue to exclusively weave their 600 tartan fabrics here to this day. When Alistair and Jean Brown retired, Ingles Buchan was passed on to their son Colin Brown who is now the owner of Ingles Buchan Textiles, the Vice Chairman of Scottish Tartans Authority & past deacon of Incorporation of Glasgow Weavers. 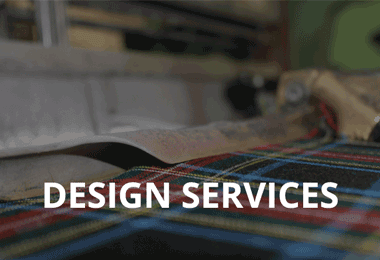 Ingles Buchan now creates tartans for a wide range of industries, including Traditional Scottish Retail, Corporate Branding & Promotion, Tourism, Clans, Castles, Dance and the Film Industry with one of their most successful recent projects being the design and production of tartan featured in the globally successful TV show, Outlander. The best quality 100% pure new wool yarn is sourced through dedicated yarn merchants and delivered in the colour ecru. The yarn is dyed into over 100 different stock colours in Selkirk, from there it’s broken down into cones for each colour ready to weave. Each cone is positioned onto a bank, the tartan is then warped (the creation of the vertical stripes) according to the pattern. From here it’s introduced to the loom where the weft (the horizontal stripes) are woven through, forming the final tartan cloth. The cloth is then finished (washed, steamed, pressed, brushed or teased) to achieve various different types of cloth. Rolls of the finished cloth are then meticulously cut into over 60 different products, in over 600 beautifully crafted tartans.